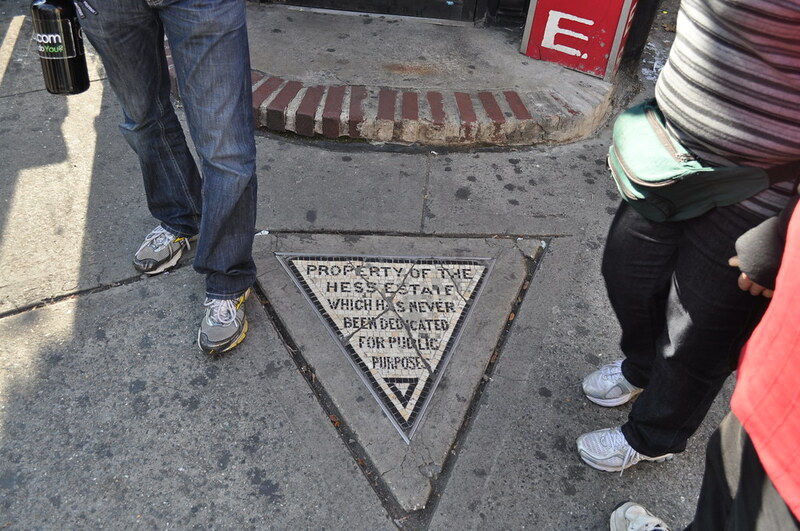 At the southwest corner of Christopher Street and Seventh Avenue, in front of the entrance to the Village Cigars store, there's a small triangular mosaic set into the sidewalk which reads "Property of the Hess Estate Which Has Never Been Dedicated for Public Purpose". The land where the 500-square-inch mosaic lies was part of a larger property belonging to David Hess, where once stood a five-story residential building called the Voorhis Apartment. In 1910, the city decided to construct a new subway line and widen the streets, which meant demolishing nearly 300 buildings in the area. Voorhis Apartment was among the buildings slated for demolition. After the wrecking ball had done its job, David Hess found himself in possession of a tiny parcel of land —a triangle, measuring 65 cm on the base and 70 cm on both sides— that the city missed due to a surveying error. When the city realized its mistake, it sent a notice to Hess to hand over the remaining property, but Mr. Hess resisted. In order to make his intentions clear, in 1922, Hess had the tiny property tiled over with black and yellow tiles bearing the inscription that you see today. 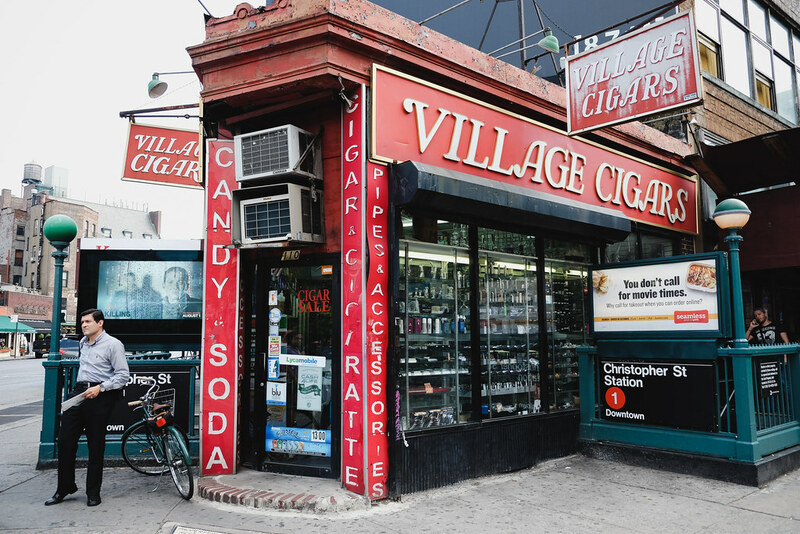 In 1938 the property was sold to the adjacent Village Cigars store for $1,000. It’s still reported to be the smallest plot in New York City.